Geared toward new beekeepers who have taken the Intro to Beekeepers course and are preparing for their first bees. Tips and tricks to help you assemble your woodenware. You will leave the workshop with a complete setup, ready for painting and bees! There will be a $25 fee to cover materials. This workshop will offer use of air staplers, nails, glue, Bt ( wax moth prevention), carpenter’s squares, and frame assembly jigs. Please bring a hammer, gloves and safety glasses if you have them. (We will have some safety glasses to share). 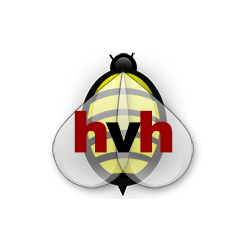 Please email us at BeeGroup@HVHives.com for equipment price sheet if interested. We do sell bee hives and equipment. Our advice for people just starting out is to attend the two day intro course in January. This gives you the opportunity to see, touch & feel, and understand the different hive type options before investing any money. Once you have decided which option will fit your needs best, we gather all the orders and provide the equipment for our assembly workshop in March. At the workshop we provide all the jigs, tools, hardware and help you put them all together. You leave the workshop with complete hives that just need painting and will be ready for your bees when they arrive.